This entry was posted in Food, Garden, Herbs, Local and tagged Armenian cucumbers, brine, cucumbers, fermented pickles, fermenting, making pickles, pickling, pickling cucumbers, salt brine. Bookmark the permalink. Yes! I ferment cucumbers in the summer and cabbage in the winter. I use a half gallon mason jar and a mason jelly jar for the weight. 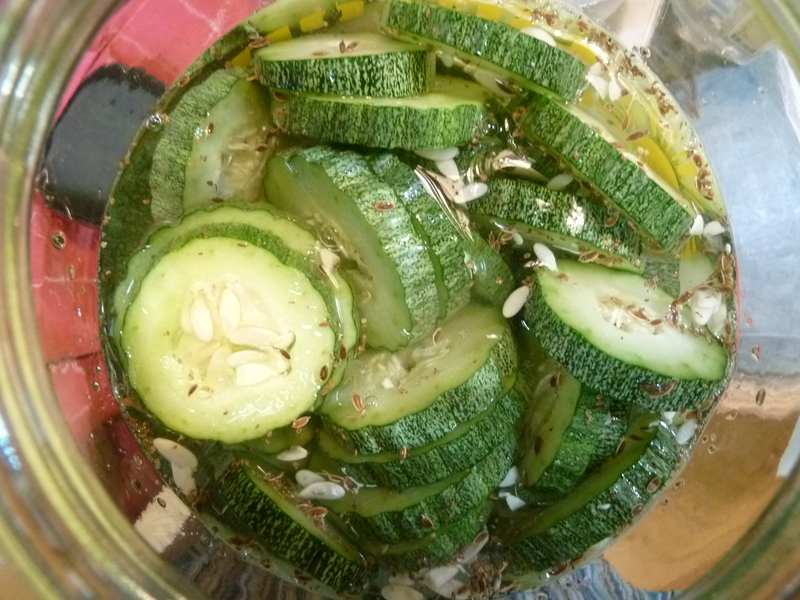 I also slice my cucs (mostly because I want my pickles fast!). 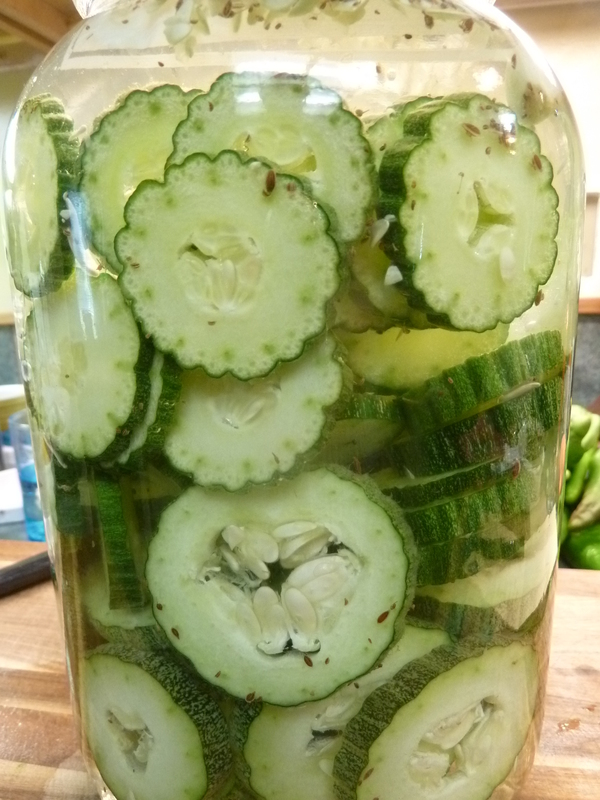 In fact, tomorrow morning I’m getting a new batch of cucs to add to the jar because we are very nearly out. My son can’t get enough of them. As much as I love fermented cucumbers I can’t wait until cabbage is back in season because I adore sauerkraut. Hi Annie! Our counter has several jars fermenting right now and I just picked 12 more Armenian cucumbers. I’m going to be giving some of them away and fermenting more to trade with a few people. I still have two jars of sauerkraut hanging out in the back of the refrigerator and have been nursing them along. I will miss it when it is gone. How exciting your little boy loves the fermented pickle slices. That is great!! Hi Liz!!! I will look into Japanese cucumbers. There are a few other cousins to the Armenian cucumber that I would like to try as well. A wild thought, would filling a plastic bag with water and kind of squashing that in – on top of the brining vegetables in the jar work to keep the veggies under the brine? Or maybe even with some clean pebbles in the water in the baggie? Never tried it. 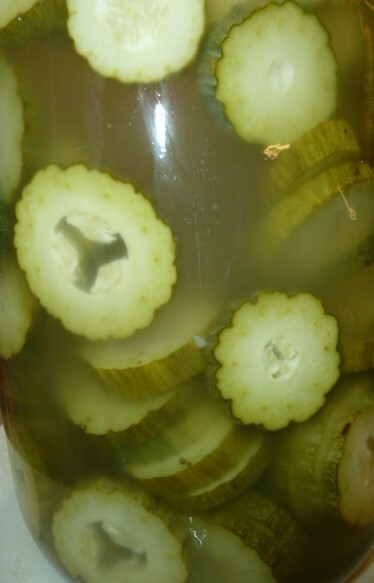 I have had a go at making Danish style sweet vinegar pickles, with my enormous cucumbers in slices. It’s the sort of pickle called asie gurk, which is not the fermenty sort. I am not sure I have ever had fermented cucumbers, I think I am missing out. Yours look amazing!